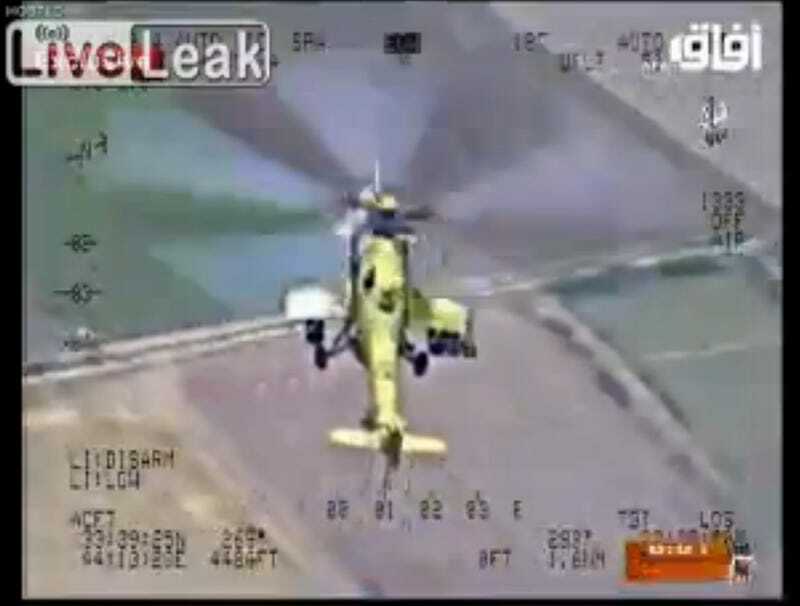 This video depicts Iraqi Mi-35M "Hind-E" advanced helicopter gunships, of which the Iraqi armed forces only have a handful in inventory, taking the fight to the ISIS in Northern Iraq. A much larger analysis on the events currently unfolding in Iraq will be posted soon. In the meantime, check out this amazing footage shot by another Iraqi aircraft, possibly another Hind-E or one of their militarized Cessna Caravans, of what Iraq is doing to stop the ISIS's push toward Baghdad. Note, this footage may be unsettling to some. Thanks to Amir for shooting this over to me.